Registration has officially opened for IFIC’s International Summer School on Integrated Care 2019 (ISSIC19) that will be hosted at Wolfson College, Oxford, UK between Sunday, June 23 and Friday, June 28. Book your place now and take advantage of our early bird discount offer giving you 10% discount on the cost of the week-long course if you book before Friday, February 15, 2019. Led by our CEO, Dr Nick Goodwin, and Senior Fellow, Margrieta Langins ISSIC19 offers an intensive one-week education and training course on the theory and practice of integrated care. Full details of the programme will be announced soon. International Medical Corps’ Toolkit aims to support the understanding and implementation of integrated mental health programs in humanitarian settings. It includes key guidance and resources that reinforce the integration process among implementation partners, donors and governments. The toolkit outlines the steps for integrated mental health programs and provides valuable guidance for better resource allocation, program design, contextualization, implementation and evaluation. The Toolkit is the result of a two-year process of consultation, resource-mapping and development with a Toolkit Advisory Group. This Toolkit was made possible by the generous support of the U. S. Agency for International Development’s Office of U.S. Foreign Disaster Assistance. BLOG: What is the Mental Health Integration Toolkit and How to Use it - Learn here! IFIC was delighted to help launch the countdown to the 1st North American Conference on Integrated Care taking place in 2020. Called Innovation. Inspiration. Integration: Co-designing for Health and Wellbeing with Individuals and Communities, this conference, in association with the 6th World Congress on Integrated Care, will take place in Toronto, Canada. The 2020 conference is a partnership with the International Foundation for Integrated Care (IFIC), The Change Foundation, the University of Toronto and KPMG, and is in association with iCoach and the Health System Performance Research Network. The International Foundation for Integrated care has expanded, creating a new Collaborative Centre in Ireland. IFIC Ireland is a collaboration with University College Dublin and supported by the HSE. The core mission is to develop the capacity and capabilities of Ireland in the design and delivery of integrated care. IFIC Ireland will seek to achieve this by providing a platform to develop and exchange ideas and promote activities in the region in keeping with its mission. This collaboration developed after Ireland hosted the successful 17th International Conference on Integrated Care, ICIC17, in Dublin in 2017. Liz Schroeder has been appointed Topic Editor in Health Economics and brings to IJIC unique expertise from both the UK and Australian contexts. 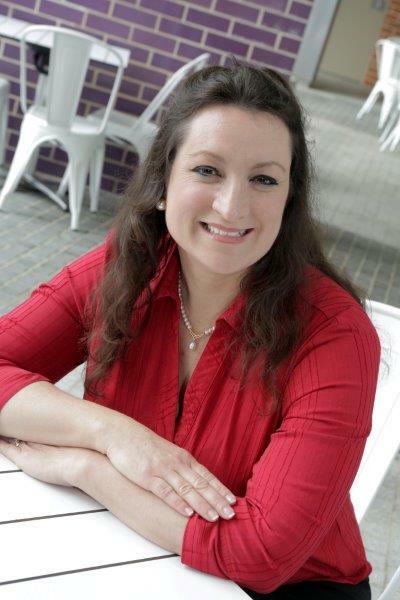 Liz holds a doctorate in Public Health from the University of Oxford and is a Senior Research Fellow at the Centre for the Health Economy, Macquarie University (MUCHE) in Sydney, where she leads the Integrated Care stream of research. Her interests are primarily in mixed methods approaches to evaluating integrated care, blending process and economic evaluations and incorporating innovative measures to determine financial impacts and value-based outcomes. Liz’s vision is to support collaborations between researchers, clinicians, health economists and health service planners to ensure high quality embedded implementation and translational research. She aims to attract research to IJIC designed to identify feasible, sustainable, cost-effective and scalable initiatives at local or regional levels to serve as indicators of success. In addition, she is looking for methodological papers to improve outcomes measurement, financing and funding models and high-quality evidence in evaluation. Liz will be working closely with IJIC editors, Apostolos Tsiachristas and Viktoria Stein to develop these research streams. Join the team of reviewers for the prestigious International Journal of Integrated Care. Reviewers will be invited to evaluate article submissions and provide feedback in their area of expertise within the Integrated Care field. Peer review is an integral part of the scholarly publishing process and an important way to support the academic community. To be considered as a reviewer, please send your publication list and a current CV to Susan Royer, IJIC managing editor. Are you a flexible and enthusiastic early-career researcher or young professional looking for your next career step? IFIC invites applications for two posts, a Junior Researcher and a more experienced researcher, for an initial 10-month contract. Roles can be full time or part time and will be based at the Foundation’s offices in Oxford. The successful applicants will work to support our EU and other research and consulting projects, support Integrated Care Academy© and recently launched Early-career Researchers in Integrated Care network (ERIC). These roles provide the opportunity to develop research, planning and writing skills and gain in-depth insight into the design, implementation and management of integrated care. The positions will enable the successful applicants to significantly expand their network internationally, and receive first-hand insights and guidance from the leading experts in theory and practice. Integrated care experience is not compulsory, if experiences in health and care-related topics is adequate. Please send a CV, letter of motivation and evidence of your English writing skills, such as a scientific article, report, thesis or similar, to Georgina Ferrer, Operations Manager, by July 20, 2018. Interviews are planned to be held in the last week of July. Download a job description here. IFIC is delighted to announce the 19th International Conference on Integrated Care will take place in San Sebastian, the Basque Country in Spain, from 1-3 April 2019. With the overarching theme ‘Evaluating and implementing models of integrated people-centred services’, the conference is a partnership of OSAKIDETZA – Basque Health Service, Bioef, Ministry for Health of the Basque Government the City Council of Donostia-San Sebastian and the Provincial Council of Gipuzkoa alongside IFIC. The conference will bring together researchers, clinicians and managers from around the world who are engaged in the design and delivery of integrated health and social care. A call for papers has been launched. For more information click here. Read the latest bumper edition of IJIC featuring Integrated Care papers from around the world. This quarter, April to June, there were four perspective papers, including one as part of the on-going iCOACH Special Collection, three Integrated Care cases; 11 research and theory papers and a policy paper. New research and theory papers have been added to the special collections for Project INTEGRATE: Lessons for Policy, Management and Implementation of Integrated Care in Europe, and iCOACH: Implementing Integrated Care for Older Adults with Complex Health Needs. John Eastwood of the Healthy Homes and Neighbourhoods Integrated Care Initiative, NSW, Australia, has written this edition’s guest editorial: Integrating Care for Children, Young People and Their Families, and you can learn more about the Special Interest Group he and colleagues have set up which aims to bring together health, education and social care practitioners and researchers who are interested in aspects of integrated health and social care as it applies to children, young people and their families. The April to June issue is now complete, view here. View all the latest Integrated Care papers from around the globe as IJIC’s January-March issue is now complete. This quarter’s editorial looks at whether Accountable Care Organisations can improve health systems; read Alexander Pimperl’s paper, Re-orienting the Model of Care: Towards Accountable Care Organizations, here. This latest edition also includes a paper by Kiselev et al. which is published as part of our ongoing Project INTEGRATE Special Collection. While Steele Gray et al. submitted a new paper as part of our ongoing iCOACH Special Collection. Read more here. Places at IFIC Academy’s International Summer School on Integrated Care, ISSIC18, are filling up fast. Join ISSIC18 for an intensive one-week, stand-alone education and training course to learn the theory and practice of Integrated Care. Led by internationally renowned Integrated Care experts Dr Viktoria Stein and Dr Nick Goodwin, the week includes presentations from international guest speakers. Summer School is an ideal learning platform for health and social care professionals, clinicians, researchers and managers, who have been tasked with designing, implementing, leading or managing integrated care. Register before February 28 to get a 10% discount. For more information contact IFIC’s Director of Education and Training Dr Viktoria Stein, or register here. 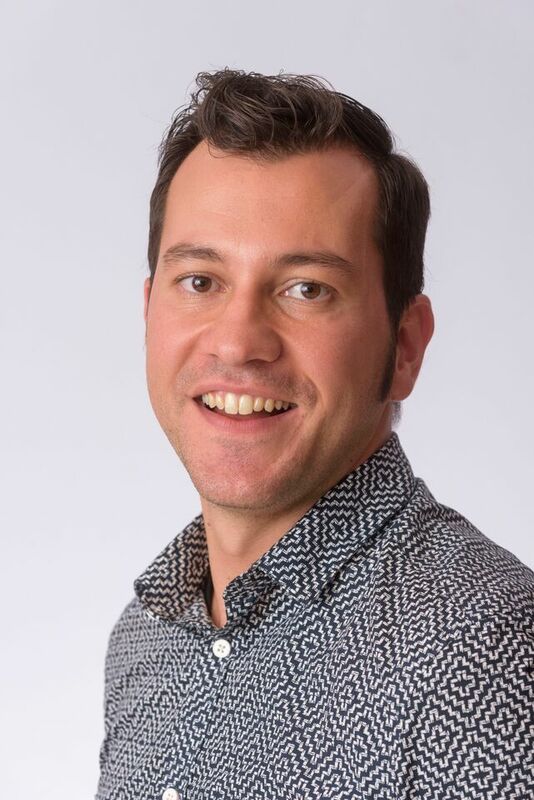 IFIC is delighted to announce that Apostolos Tsiachristas, PhD, has been appointed as IJIC’s Topic Editor in Health Economics. Apostolos is a Senior Researcher at the Health Economics Research Centre, University of Oxford. He is widely acknowledged as an international expert in the payment and economic evaluation of integrated care and has been a long-term reviewer and associate editor of the journal. He is also leading IFIC’s Special Interest Group in Health Economics. Apostolos’ appointment will not only strengthen IJIC’s reviewing capacity and quality, but also promote the development of cutting-edge health economic research in the field of integrated care. His vision as IJIC’s Topic Editor is to attract more and high quality papers related to financing and economic evaluation of integrated care as well as the impact of integrated care on the demand and supply of health and social care and health inequality. Besides empirical studies, he also envisages to receive methodological papers that may improve the quality of economic evidence in integrated care. One of his first activities will be to organise and edit an IJIC special issue in methodological and applied health economics in integrated care. More information and a call for papers will follow in due course. Register now for IFIC’s 18 th International Conference on Integrated Care taking place in Utrecht, in the Netherlands. Presented in partnership with RIVM and Vilans, this conference on Integrated Care “Value for People and Populations: Investing in Integrated Care” will take place at The NBC Congrescentrum, from May 23 – 25. With a line-up of international expert speakers, IFIC brings together researchers, clinicians and managers from around the world who are engaged in the design and delivery of integrated health and social care to share their experience and hear the latest evidence about integrating Public Health, Health and Social Care. Book before February 28 to qualify for a 10% early bird discount on delegate fees. Click here to find out more or to book your place. IJIC is pleased to announce the appointment this January of Dr Viktoria Stein and Dr Robin Miller who will work alongside Dr Nick Goodwin as joint Editors-in-Chief of the Journal. In making these appointments the Journal aims to help streamline the editorial process for authors, ensure consistency in decision-making regarding the relevance and quality of submitted articles, and free-up the time of our editorial board to undertake reviews in areas of their special interest. The new Editorial team is committed to working with Ubiquity Press to improve the authors and reviewers experience of working with us, including looking to have a more user-friendly and modern automated review process system. We would also value our authors and readers to put their names forward to us to act as reviewers of our articles. As the popularity of the Journal continues to grow and our submissions rise we are committed to keeping our submission to publication times as short as possible whilst maintaining the high standard that we have set in the quality of articles we accept. Finally, please do write or get in touch with us – we always value the feedback that we receive! Have you undertaken past research where the significance of this learning remains important today but has been forgotten? Have you been witness to policies or case studies on care integration that have come and gone, yet where the lessons for implementation and care delivery deserve a second look? We are looking for submissions to the Journal in our 'Lost and Found' section. These papers seek to make a retrospective assessment of the impact, legacy and lessons of significant historical innovation or research studies in integrated care. The reason for promoting a call for such papers is that we recognise that there is a significant body of evidence, both published and unpublished, that can inform today's thinking. Specifically, we know that many interesting policy innovations and pilot studies are no longer with us, yet from which there is much to learn. The format for these papers is provided in our Lost and Found author guidelines. It's important to recognise that we do not re-publish old papers, but seek to understand how and why these past experiences are important and what they mean for future research, policy and practice. It is with great sadness to learn that one of IJIC’s founding Editors, Dr Ingrid Mur-Veeman, passed away on 31 March 2016. Ingrid worked as an associate professor at the Faculty of Health Sciences at Maastricht University from 1 February 1982 until her retirement on 21 August 2010, first as a member of the Department of Policy Science and later as a member of the Department of Health Organisation, Policy and Economics. Ingrid was part of a group of enthusiastic employees who paved the way for the Policy, Management and Evaluation of Healthcare track. 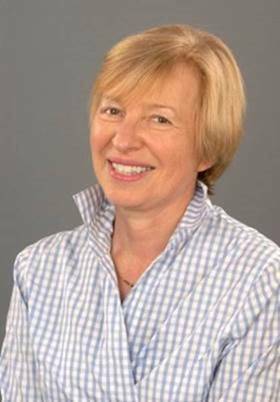 Ingrid became one of the founding Editors of the International Journal of Integrated Care in 2000 and was central to its early development. In the 1990s and early 2000s, Ingrid published with her colleagues a range of articles and books related to her pioneering work on integrated care, for example: in comparing English and Dutch approaches to interagency working ; examining networks of care [2,3] and the implementation of shared care strategies ; as well as comparing integrated care policies across Europe [5,6]. She was also a great friend and supporter of the scientific conferences of the International Network of Integrated Care that paved the way for the subsequent Foundation we know today. In her association with IJIC and IFIC we will remember Ingrid with great respect and fondness as a charming and outgoing person. With Ingrid's passing, we have lost a founding mother of our Journal and Foundation and we send our deepest sympathies to her family and friends. 3. Raak A van, Paulus A, Merode F van, Mur-Veeman I. Integrated care management: applying control theory to networks. Journal of Management in Medicine 1999;13(6):390–404. 5. A. van Raak, I.M. Mur-Veeman, B. Hardy, M. Steenbergen, A. Paulus (Eds.) Integrated care in Europe. Description and comparison of integrated care in six European countries. Elseviers Gezondheidszorg, Maarssen; 2003. 6. Mur-Veeman I, van Raak A, Paulus A (2008) Comparing integrated care policy in Europe: does policy matter? Health Policy. Feb;85(2):172-83. Epub 2007 Sep 4. Welcome to the new on-line publishing platform of the International Journal of Integrated Care! Welcome to the new on-line publishing platform of the International Journal of Integrated Care! After 15 successful years of support from IGITUR at the University Library Utrecht, where IJIC was the first digital journal in its portfolio and to whom we are indebted in supporting the ‘incubation’ period of our Journal, we are very proud to announce our new partnership with Ubiquity Press. The aims and objective of IJIC to be the leading scientific periodical in the growing field of integrated care as a legitimate subject of scientific enquiry as well as global innovation mean that Ubiquity Press are an ideal partner in enabling our readership and impact to grow in the coming years so that we continue to provide an open-access digital journal which maintains the high standards our authors demand of a peer-reviewed and impact-rated periodical. The changes mean that our editorial processes will improve, so helping maintain our goals in providing authors with swift publication times as well as capitalise on the growing audience keen to absorb the latest knowledge on integrated care policy, practice and research. IJIC’s host sponsor – the International Foundation for Integrated Care (www.integratedcarefoundation.org) – enables our Journal to be placed at the very heart of the global integrated care movement and to provide the highest level of exposure to the latest scientific evidence published through IJIC as well as other sources. With thanks to the hard work and commitment of the IJIC team of Susan Royer, Lourdes Ferrer and our dedicated Editorial Board and Associate Editors, I am looking forward to the next phase in IJIC’s development and to continue to provide a platform to promote the science and knowledge of integrated care. Click here to see our WCIC3 Conference Supplement. Click here to read our Special Issue: Integrating Care to Older People and those with Complex Needs: Examining the Lessons from International Case Studies from a Project Funded by the Commonwealth Fund.